Lathe machines are excellent at cutting profiles into rounded material stock, although squared and hexagonal materials can also be worked on. A lathe holds the material stock in a 3 or 4 jaw chuck, typically a 3 jaw chuck is used for round/hexagonal materials where the 4 jaw chuck is used to hold materials in rectangular or other non-cylindrical forms, this is because the 4 jaw chuck can have each jaw adjusted independently as opposed to a 3 jaw chuck where all 3 jaws move together. 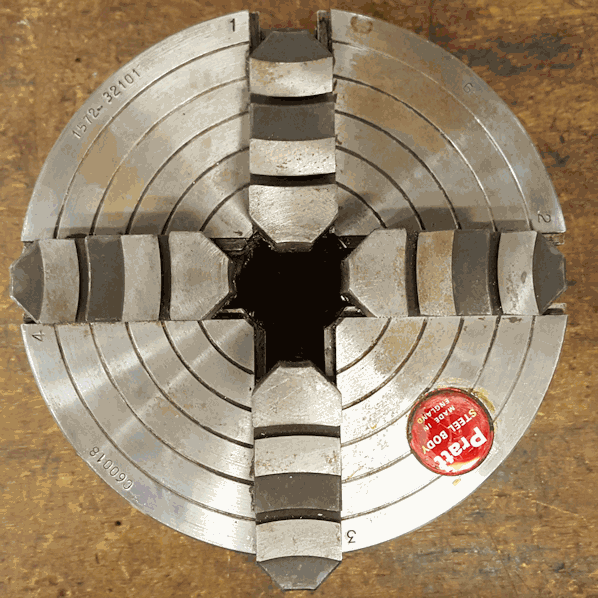 The chuck rotates with the material at a pre-selected speed which is determined by the tool and material type and size. For example, aluminium will have a faster cutting speed than of steel. 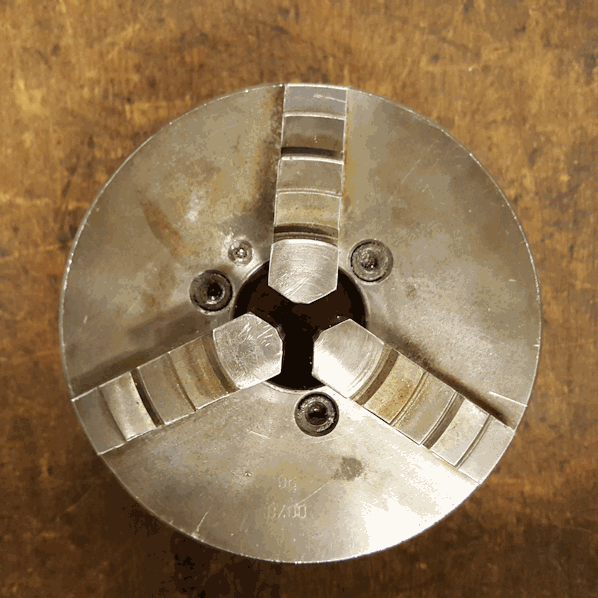 A large diameter material will need a slower cutting speed than that of a small diameter one. Performing a parting cut will need a much lower speed than performing a facing cut. 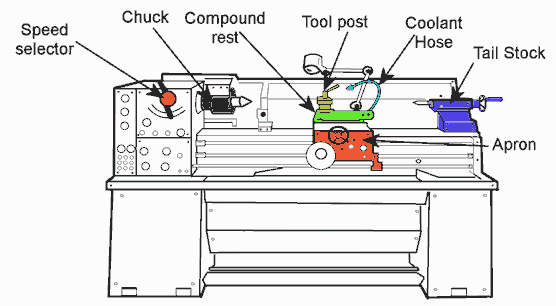 With the material up to speed the tool which is mounted to the tool post or tail stock (see diagram) is then driven into position and gradually into the material so a cutting action is produced against the rotating material. 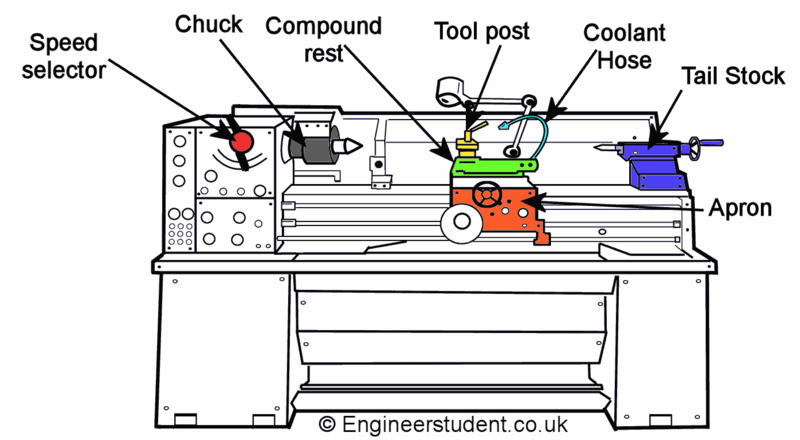 Lathe tools can be tailored to your needs therefore the images below are a general representation. 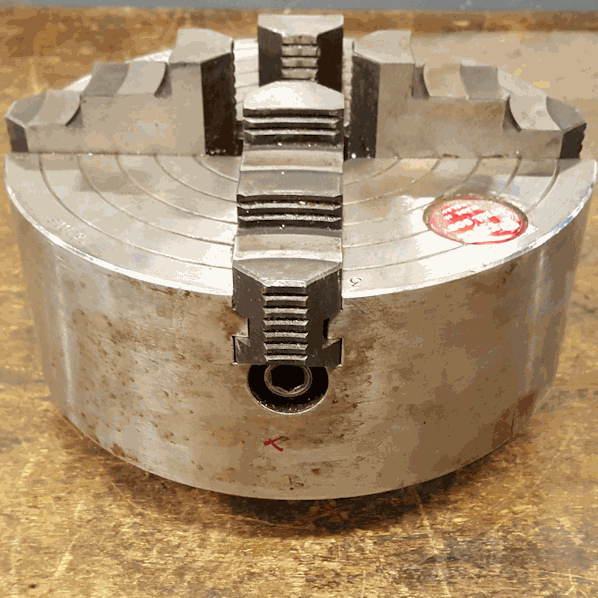 High speed steel (HSS) tool blanks(upper left image) are left without a profile so that you can grind a profile into it which meets your specific needs. 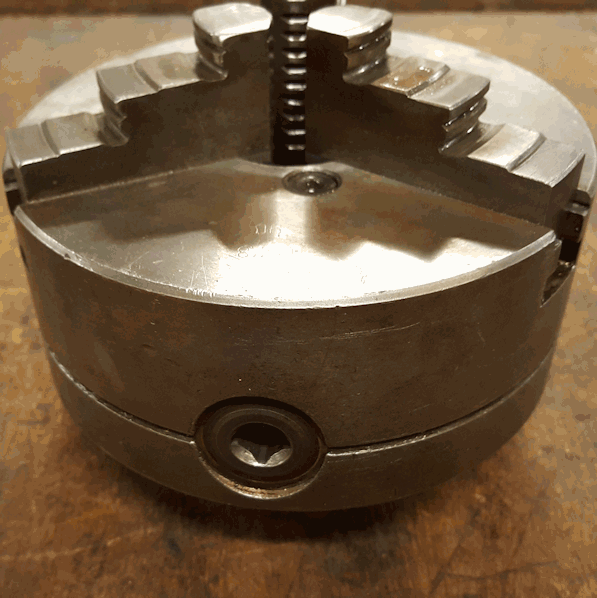 HSS tooling is fairly cheap to buy but they do need to be kept razor sharp in order to perform well and leave good finishes, this may mean re-touching the tool on a grinding wheel between jobs. Carbide tipped tooling uses a variety of different tip holders and also the various style tips to perform different cutting tasks. Carbide tipped tooling can withstand larger cuts which is a plus for reducing job time. They are also more durable and therefore don't wear anywhere near as quickly as HSS would. That said the price of carbide tipped tooling and their holders are much more expensive than your typicall HSS tools.